Dr. Renu Karn and her team welcome our New Patients with a special initial visit to help you get started. During this visit, we will conduct a thorough examination allowing the dentist to diagnose conditions before they become costly problems. We check your gums, jaw joints, bite as well as your teeth to create your own personalized treatment plan options. This helps us to provide the best possible care for your teeth, mouth with added benefits to your general well-being. For only $79. Normally $348. A separate consultation fee and treatment costs will be charged if any additional treatment is done at this appointment. Preferred Provider Health Fund Members: All members eligible for Preferred Provider Health Fund Rebates with a participating Dental Care Professional at our practice, if eligible, may enjoy a GAP FREE New Patient Special. Fund rules and eligibility apply. Your fund may set fees to apply and claimable on the day of consultation only. All Other Health Fund Members: All Other health fund rebates are different, we ask that all health fund members claim the rebate from their health fund after the discount is applied and only pay $79 on the day of service. No Health Fund: Dental Excellence appreciates your payment of $79 on the day of service. This special cannot be altered, redeemed for cash or used towards any other treatment. All emergency or urgent appointments will incur our standard consultation (Item numbers: 013, 014 or 015) and diagnostic fees. The consultation fee is charged in addition to fees charged for the treatment (if any) carried out. eg. a toothache, wisdom teeth, broken filling, tooth removal etc. This offer applies to South Australian Residents. Dental Excellence reserves the right to void or cancel this offer should the initial appointment is missed or canceled without 24 hours notice. First, if you are new to Dental Excellence, take advantage of our Welcoming New Patient Special of $79 (as above) to begin and ensure that you are a suitable candidate for in-chair teeth whitening. 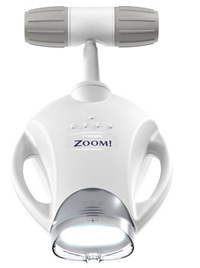 If you are one of our valued existing patients and have had a clean in the last 3 months, give us a call to book a ZOOM Whitening Consultation. If you have not had a dental clean in the last 3 months, we recommend to visit us for a consultation and a clean to begin and get better results. First, if you are new to Dental Excellence, take advantage of our Welcoming New Patient Special of $79 (as above) to begin and ensure that you are a suitable candidate for take-home teeth whitening. Next, we take a set of impressions on your top and bottom teeth to make the whitening trays. Approximately, 5-7 days later, your trays are ready to collect with your Take-Home Kit and begin the whitening at home process. One of our team members will step you through the process of wearing and caring for your whiter, brighter smile.